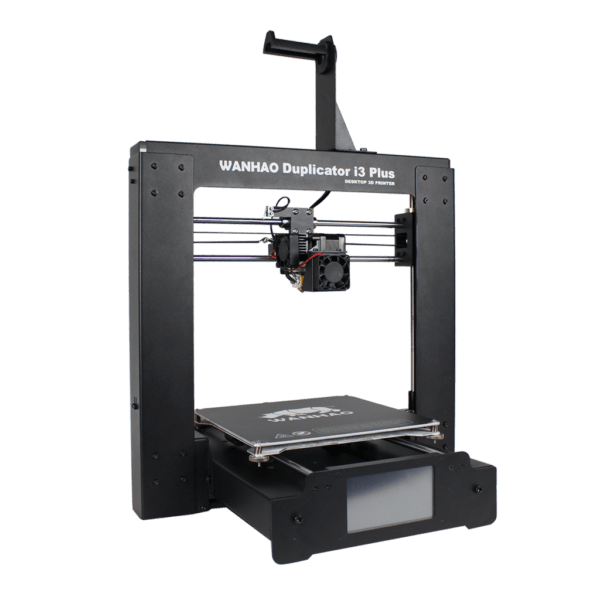 The Wanhao Duplicator i3 Prusa is based on the tried and trusted, open source Prusa design by Josef Prusa. 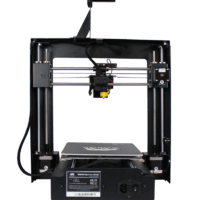 The Di3, for short, features a fully assembled printer with steel chassis, an MK10 Extruder, 3x Linear Bearings and a Drag Chain. 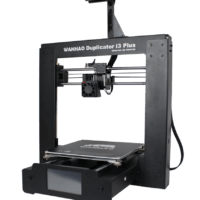 Leading the way in desktop 3D printing… The Duplicator i3 PLUS is the design culmination of our experience selling the #1 3D printer in the industry! 16 months of tuning and modifying the original Duplicator i3 has left us with an idea of what our customers have been looking for in a desktop machine: reliable quality, beautiful aesthetics, and an unmatched value. 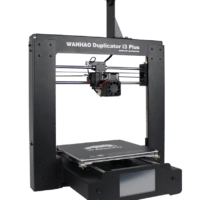 The 3rd generation Duplicator i3 PLUS combines experience and affordability to create the new standard in desktop 3D printing! This is the only Prusa-style printer on the market with an integrated electronics cabin, a full-sized SD card slot, and an on-board 3.25″ touchscreen display panel. No other Prusa design comes close to matching the features neatly packed into this machine. 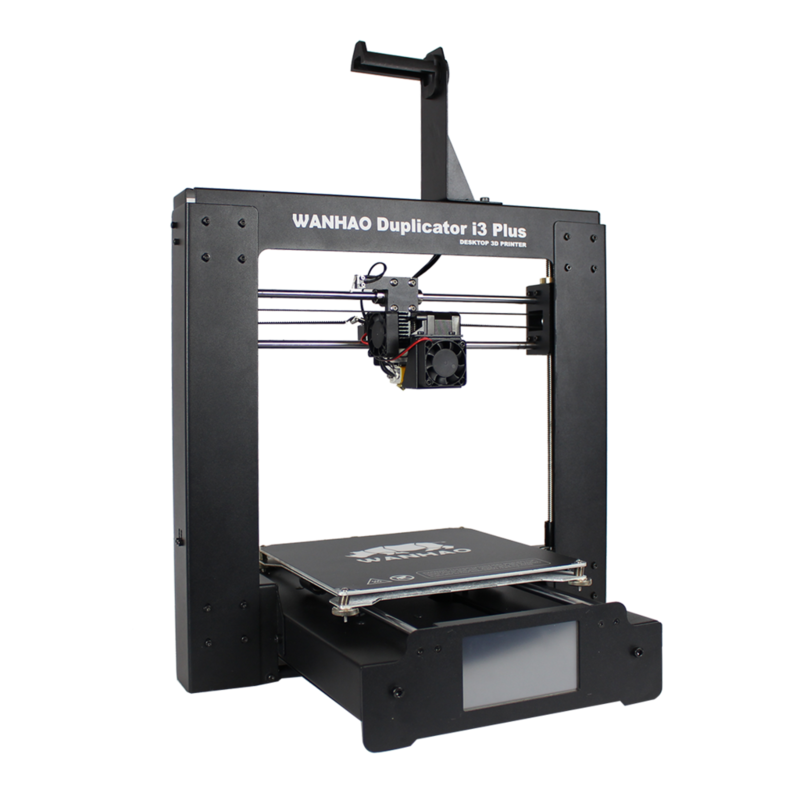 The Duplicator i3 PLUS offers the largest build plate of any 3d printer in it’s class! With a build volume of just over 200mm x 200mm x 180mm you can build models to scale in minutes. Speed-up printing times and go big! 5 years of feedback has proven that users want the freedom to choose their 3D printing software based on the CAD programs they use every day. The obvious choice was to allow the Di3 Plus to accept open-source software in order to streamline the workflow of pro and novice users alike. Use the pre-loaded CURA Wanhao Edition or pick from the dozens of free and commercially available software packages online. Enjoy the freedom to use the most widely used file types from the best software packages on the market. Material Types: PLA, PET-G, ABS (requires enclosure).